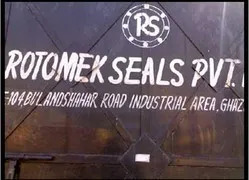 Established in the year 2002, we Rotomek Seals Private Limited are involved in the manufacturing and supplying of Mechanical Seals. Our product range is inclusive of Cartridge Seals, Rubber Bellow Seals and Metal Bellow Seals. We also provide repair, maintenance & fabrication services. Our products serve diversified industrial applications and are available in variegated range to fulfill the needs of the clients. We use latest technology machinery and incorporate the latest designs to fulfill the requirements of the clients in conformation with International standards. We have hired a team of efficient professionals to ensure a smooth and flawless processing flow. Their knowledge and expertise in the domain enable to provide the optimum quality in our seals. They have been instrumental in helping us gain a remarkable position among the leading names of the domain. Our firm is owned by Mr. Sanjive Sahni who is the back bone of the organization. Under his guidance, our organization has been able to set bench marks in the relevant industry amongst the competitors. We are Limited Liability/Corporation (Privately Held), with turnover of US$ 1-10 Million (or Rs. 4-40 Crore Approx.) targeting only export market. We offer services like consulting, fitting, after sales services and tech support in mechanical seals. We concentrate on designing and manufacturing of wide range of mechanical seals. Our main concern is to deliver the products at the given time period to satisfy the clients. Consulting: We work with clients closely to develop seals for their specific industrial use. Our experts have capabilities to design the seal from scratch starting from choosing the seal face material to configuring the specifications as per the operating limits and the kind of media/application in use. After Sales: Our after sales team is committed to minimizing your machine downtime. The same is vouched by our several prestigious clients. Tech Support: We design seals with various materials with the widest range of chemical compatibility and that operate over a wide range of temperature, pressure and speed. Updating the existing products time to time. 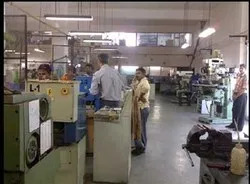 Our manufacturing unit enable us to manufacture wide range of mechanical seals. These products are acknowledged for their quality standards. We are well equipped with latest technology machinery that are capable of fabricating wide range of products according to the requirements and specifications of the clients. Well trained and skilled professionals are capable of handling these sophisticated machines. 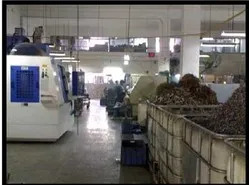 We have variegated machines to carry the processing of the products and believe in incorporating new ideas to upgrade our products making them unique. We are committed towards rendering high quality products to the clients which are of International Standards.We follow some quality policies to offer upgrade products to our clients and attaining their optimal satisfaction. We are totally committed towards rendering the best quality products to our clients due to which we have become their preferable choice amongst our competitors. We follow certain procedures to facilitate our clients. "Any use of Company names, trademarks, model No, item or part No's is for reference purposes only. Rotomek Seals is not affiliated with this company. Rotomek Seals acknowledges all trademarks and copyrights." We have hired a team of efficient professionals to ensure a smooth and flawless processing flow. Their knowledge and expertise in the domain enable to provide the optimum quality in our seals. They have been instrumental in helping us gain a remarkable position among the leading names of the domain. We put emphasis on providing our employees with a pressure-free environment, where they can enhance their knowledge working towards the organizational growth. We are among the prominent organizations engaged in the manufacturing, supplying and exporting of premium quality Mechanical Seals to our prestigious clients. We incorporate the best quality carbon, ceramic, silicon and tungsten carbide in the manufacturing process, which ensures the optimum quality of our products. And we have earned much appreciation among our valued clients for the same. We also assure safe and convenient delivery of our products at the customers’ end. Welcoming feedback and suggestions from the customers, we accordingly enhance our business methods. We have established a state-of-the-art infrastructure, which is segregated into several departments. To ensure smooth and hassle-free processing, we have incorporated machinery based on advanced technology in our infrastructure. Our infrastructure comprises of units like the administrative, procurement, processing, quality control, warehousing, packaging and marketing. With the incorporation of high quality raw materials, latest technology and advanced machinery, we have been able to offer premium quality Mechanical Seals. Excellent quality of workmanship combined with outstanding manufacturing facility ensure the best quality of the final products. Our quality controllers stringently check these seals before the final dispatch. Apart from this, safe and convenient delivery is also ensured. Multiple payment options and client concentric strategies make us a preferred name among the leading names of the domain.